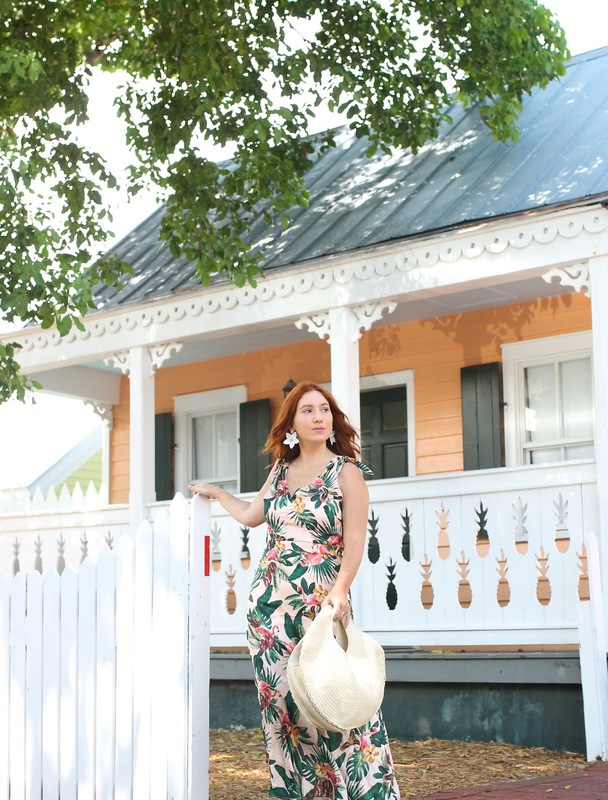 ARE YOU READY TO FLAMINGLE? 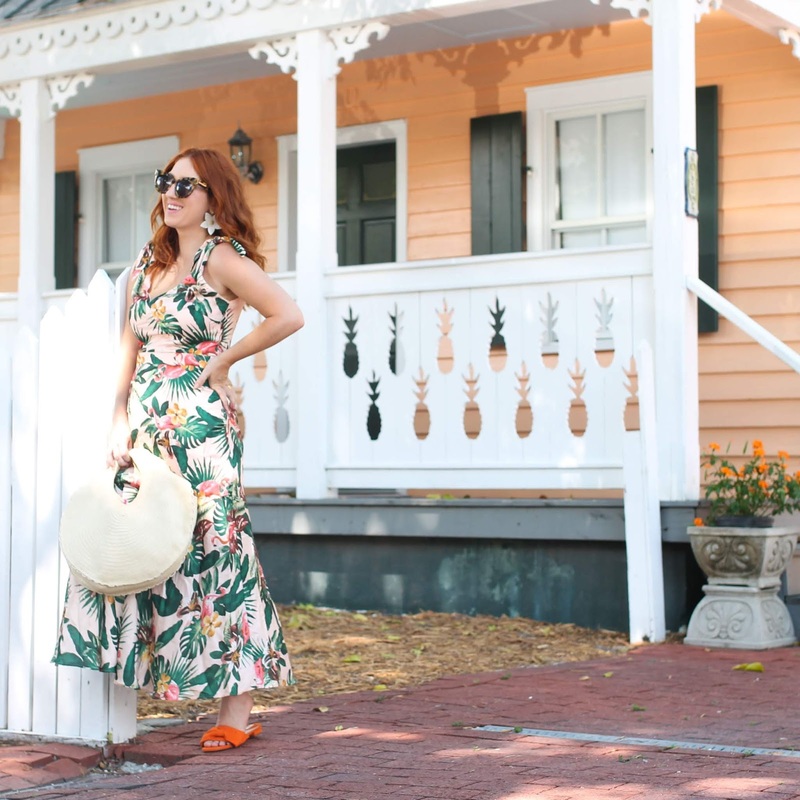 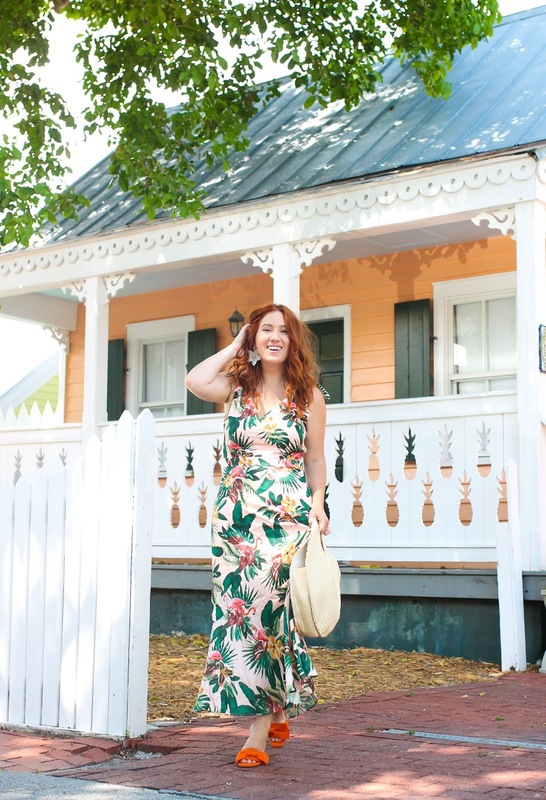 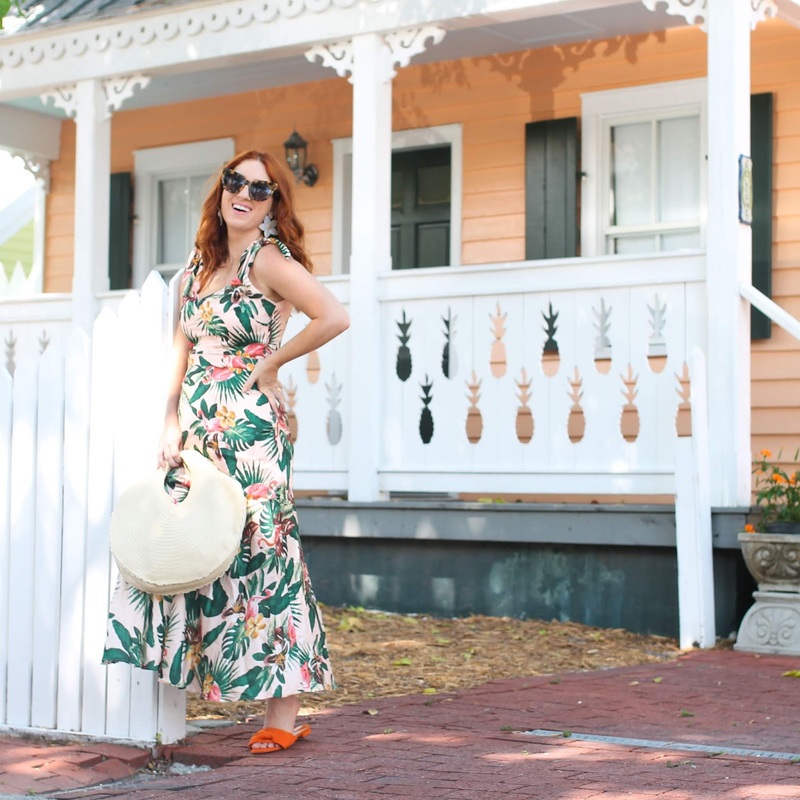 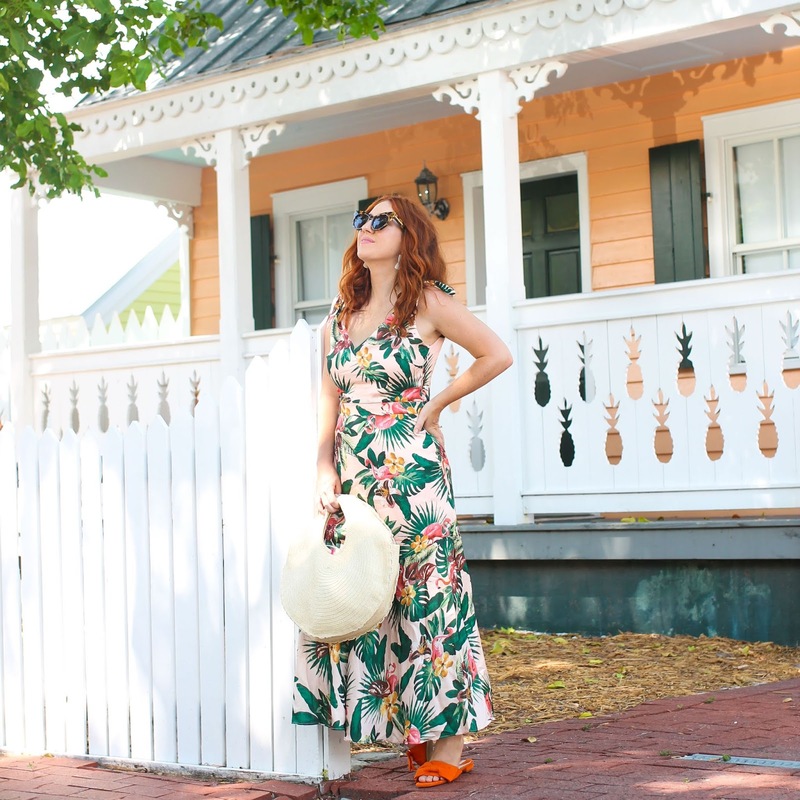 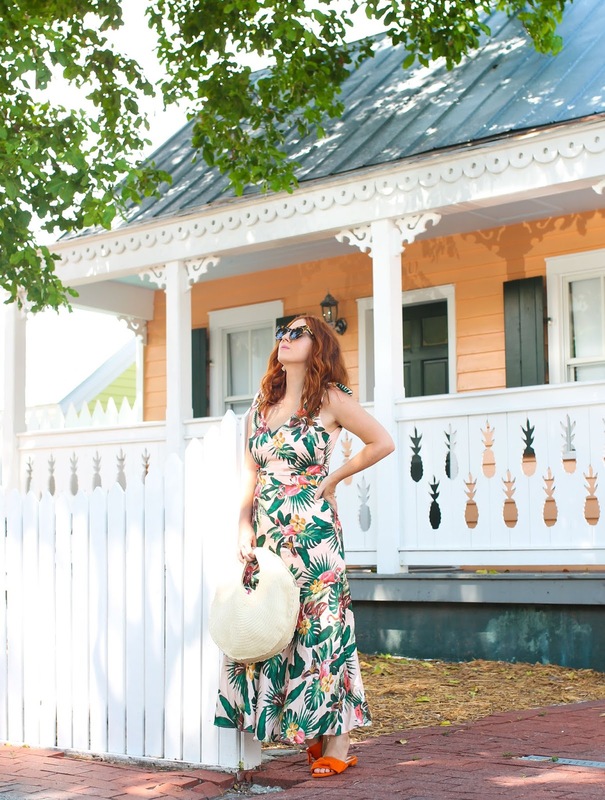 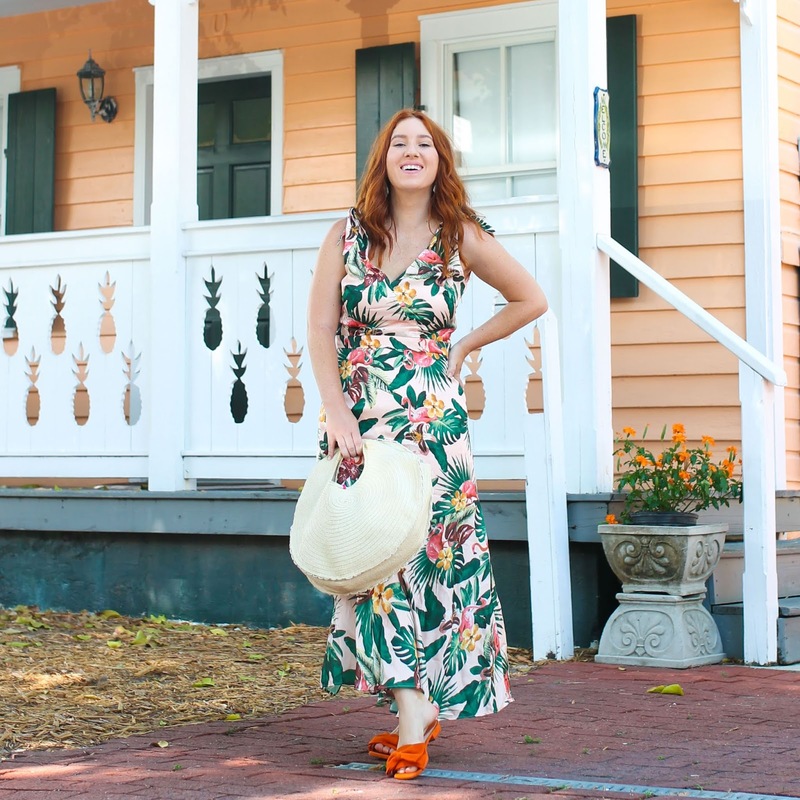 When I found this dress while prepping for our trip to The Keys I was had no idea that I would actually be wearing it to meet actual flamingos. 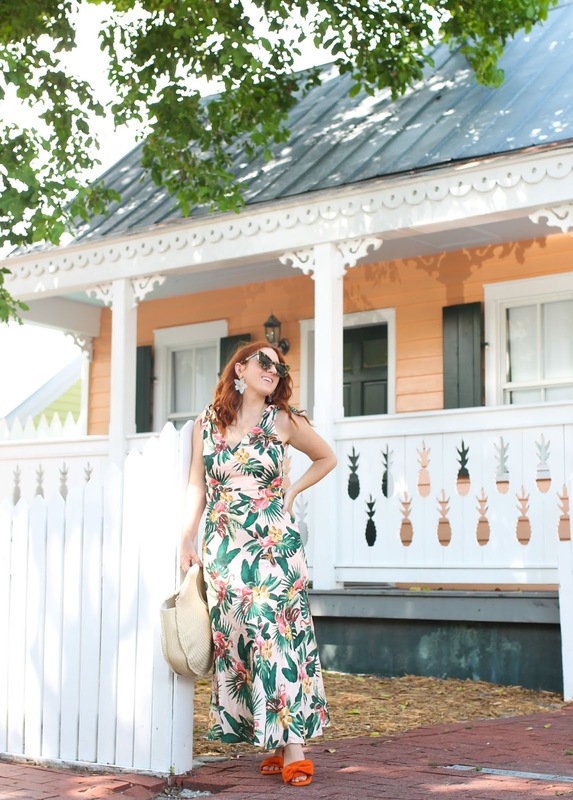 One could hope, but once I saw that the Key West Butterfly Conservatory had two resident flamingos I threw this on and RAN to meet them. 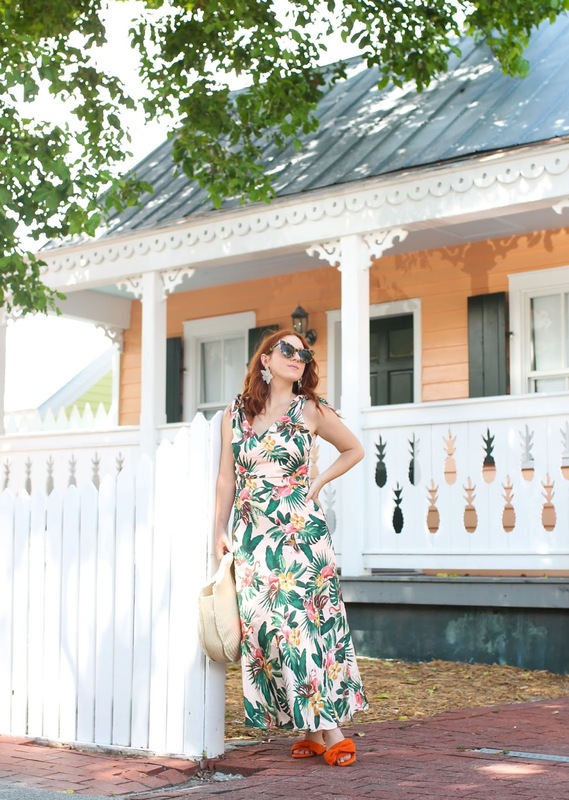 They didn't want to pose for a picture, however I found this little orange pineapple cottage that made an equally amazing backdrop for this dress.